On Wednesday we visited two forests, and today I visited a third. The second forest is near St. Gobnait's shrine, so that was yet another Gobnait day, and I should just expect them now. 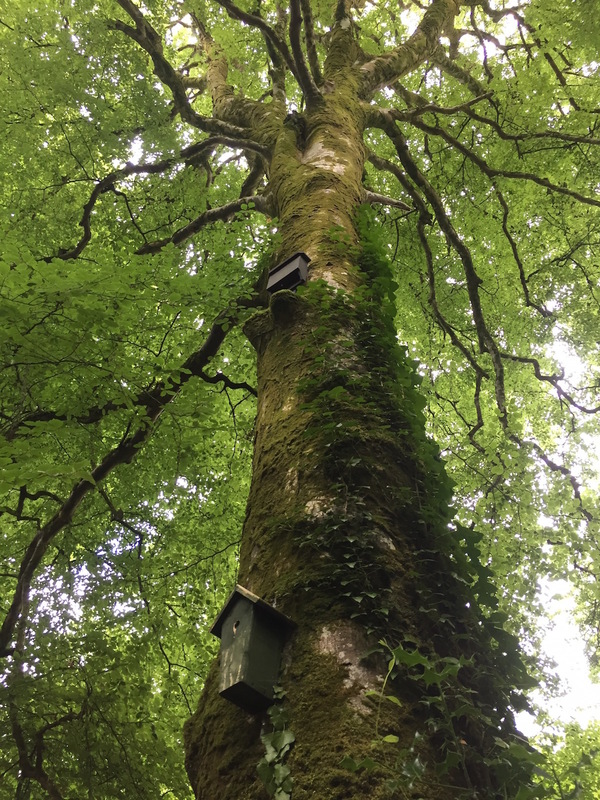 I was properly introduced to Ireland's trees by John Willmott, The Woodland Bard, proprietor of Carrowcrory Cottage near Sligo. (Some of my Santa Cruz friends may have met him at a house concert in 2014.) It was John who first said to me the phrase "forest bathing," and what he names Boladh na Sióga. 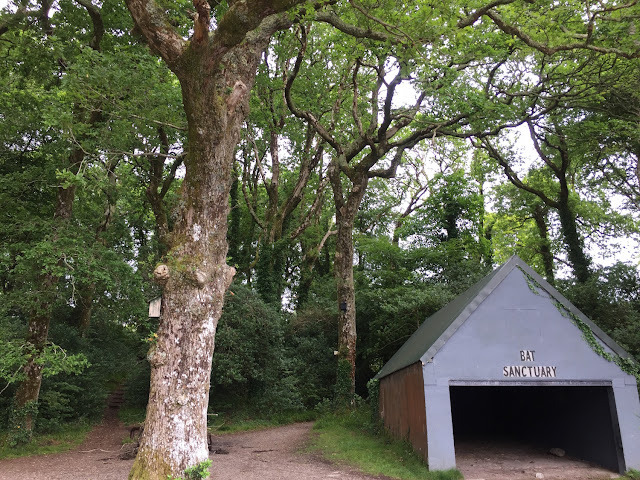 John hosts tour groups, giving to them his poems and stories, disseminating the constant theme that Ireland's trees are the heart and strength and history of this country, perhaps more so than the stones and ruins on postcards. When you visit Ireland, if you prioritize trees, you'll definitely find whatever it was you came for. 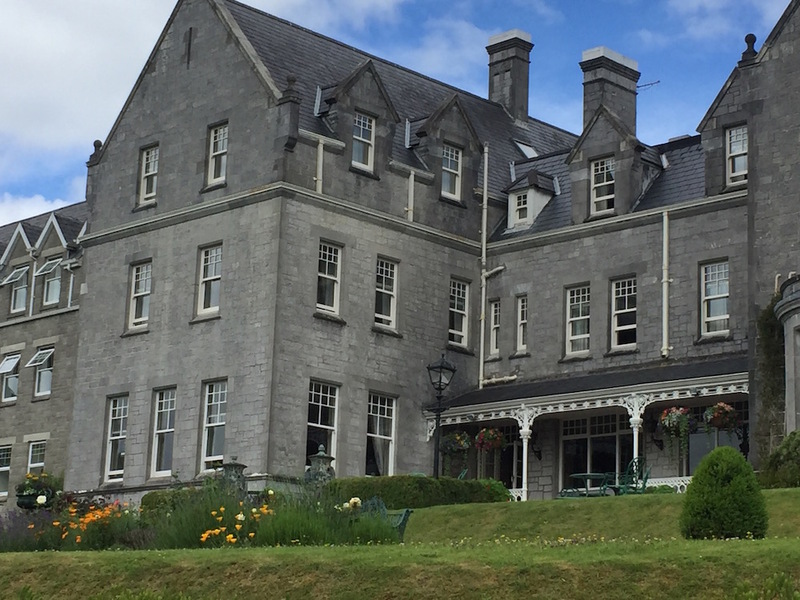 Kenmare town is familiar to us, but we had never visited Reenagross Park, probably because I've avoided the 5-star hotel that overlooks it. While it started as the private park of a landlord, we can all walk Reenagross now, and bring the dogs. Designed and planted by men more than 200 years ago, the park is an example of the resilient wildness of trees, regardless of who planted them. We had quite a time finding it, until we learned you can park at the private golf course, walk through the hotel's garden, and down to the riverside. Many of the trees are bat houses. And the boathouse is a bat house. Later that day we returned to Ballevourney to visit St. Gobnait's Wood. (listen: "Gobnait") We didn't know about this forest until we discovered the delightful woodland talks of Ted Cook published by The Woodland League. There are six parts in this series. We watched them over a few days because we needed to absorb and reflect. Ted teaches us about oaks, and oaks as political emblems. He teaches us about coppicing, he teaches us about the beeches and sycamores brought by the Cromwellians. He has his advocacy for the ivy, and he knows how many insects can live on a dead oak. Part 1, Part 2, Part 3, Part4 ,Part 5 ,Part 6. 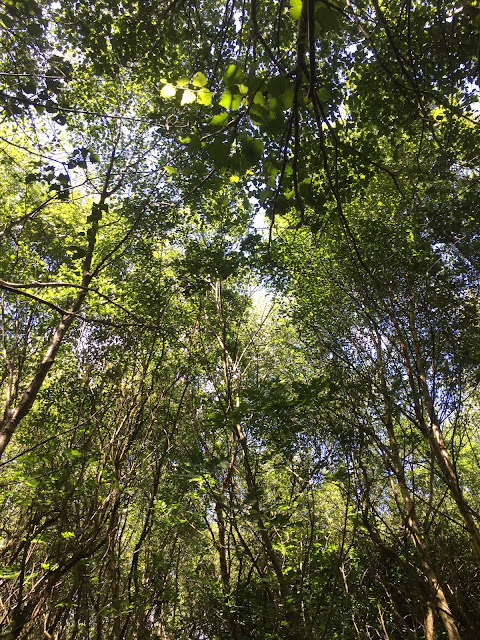 Don't miss twenty minutes of Ted Cook at the Muskerry Oak, where the conversation starts with the ecology of ancient oaks, meanders through the nature of consciousness, and finishes with Hope in the Divine Drama We're Living In. Keep looking if you like these because there are more. He is obviously a national treasure. Today I rambled over to the forestry that's on the property we live on. A forestry is a crop of trees, grown like corn in rows, for 30 years before harvest. It's nothing like a forest, it's a mono-crop with the well-known problems with this kind of agriculture. 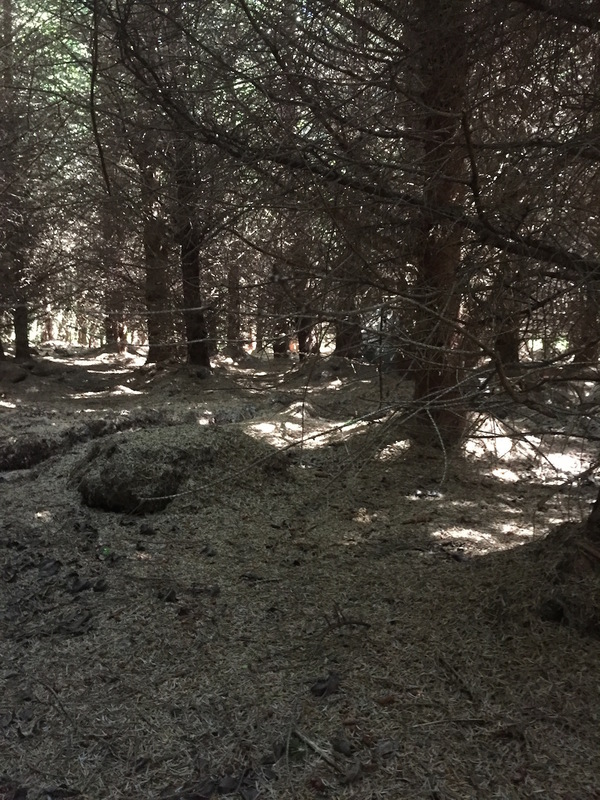 I've wandered around the inside of forestries before, and thought they were evil and dead. But as I get to know them, I can appreciate them. They are not a wild forest, they are servant trees, and they are doing the best they can. As I walked further into the forestry, I noticed there are open spaces where the sitka pines didn't make it. These trees—birch? Alder? grow together toward the sky, and oaks tear apart old stone walls.